January 2017 is the release date of this new book. 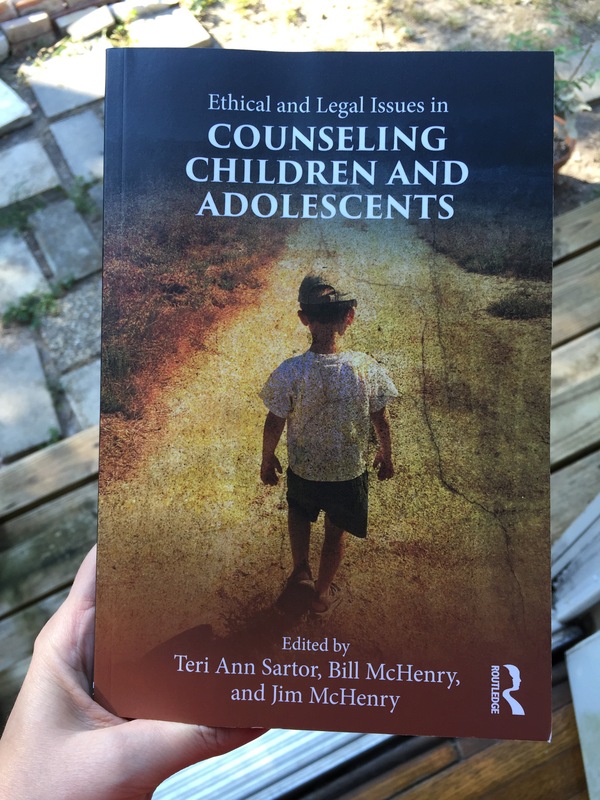 It is to be used in college courses to teach ethics to future licensed counselors. I wrote my chapter while fostering and most of it was written while laying on the floor in between the children’s beds waiting for them to fall asleep. My mind was so full and it was hard to concentrate. But, somehow, I was able to eek out this chapter. 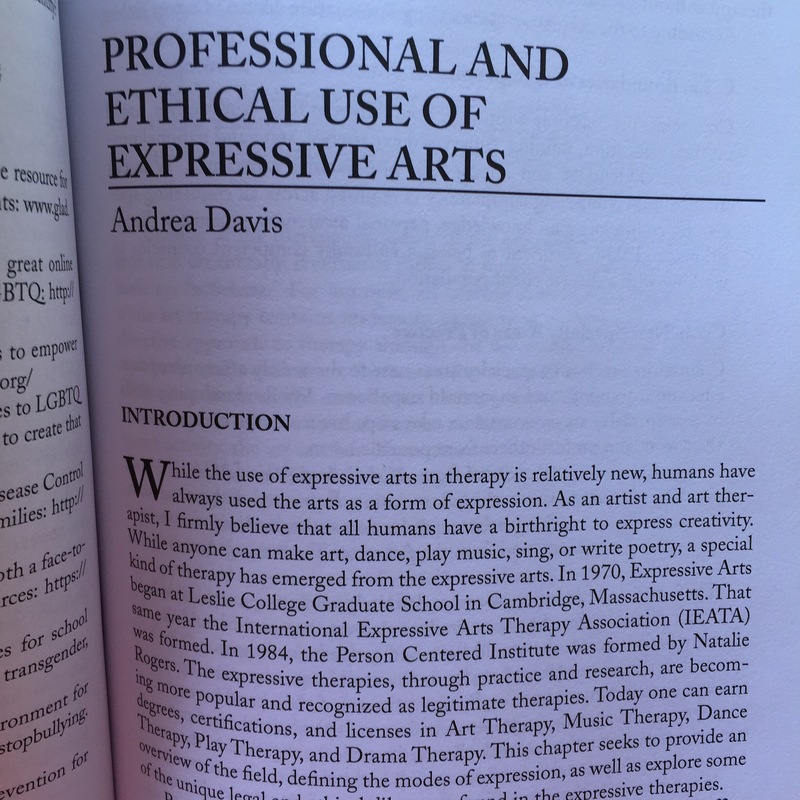 Art therapy is my passion and I really enjoyed researching and speaking to other professionals.